May require 1 to 3 days advance order. 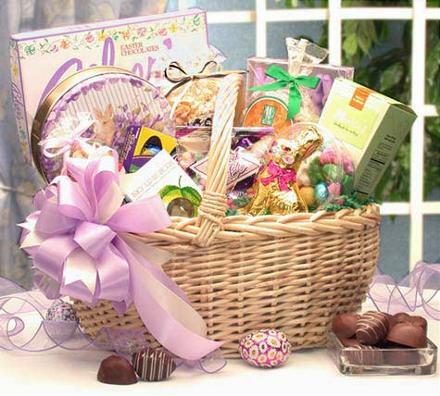 Easter gift basket filled with goodies and treats including Easter eggs, chocolates, and an Easter bunny. Hand made to order by the local florist. Arrangement Details: Suggested add ons include a stuffed animal, some themed mylar helium balloons and a large card for your message to be hand written.